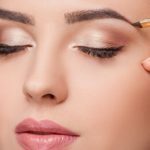 Even if you don’t have a chronic problem with breakouts or acne, almost everyone has had a situation where they’ve had a blemish or acne scar that ordinary makeup just can’t handle. Especially if you have an event or special occasion coming up, you’re going to want to look and feel your best without having to worry about someone taking too much notice of what’s going on with your skin. So after you’ve tried every skincare product and concealer, here are three fashion tricks you can use to help hide skin imperfections. 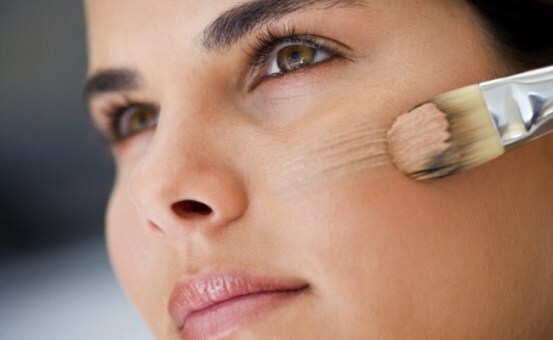 Just like with your face, you can use makeup to cover pimples or spots on other parts of your skin. While you can generally just use your clothes to hide these marks, if it’s summertime or you need to dress up for a certain occasion, you may not be able to avoid showing more skin. As a word of warning before you start with body makeup, Kate Sullivan, a contributor to Allure.com, recommends that you put your clothes on first to ensure you’re only covering imperfections that can be seen. Also, you may want to line your clothes with a napkin or tissue in order to keep your clothes clean from any smearing from your body makeup. If the pimple or scar you’re trying to hide is near your hairline, one of the easiest and most effective ways to cover it up is to use a hat or headscarf. Additionally, if you have something you want to hide on your neck, a scarf can work in this scenario as well. As long as you’re able to keep this accessory on for as long as you want your zit to be hidden, this tactic can often go off without a hitch. However, Chrissy Mahlmeister and Casey Rackham, contributors to BuzzFeed.com, remind us that the added heat, moisture, and oil from these accessories could actually make the acne in that area worse in the long run, so be sure you weigh the pros and cons before you choose to go this route. To keep a certain part of your face, neck, or chest out of view, you can also pick a hairstyle for the day that will cause that area to be covered up. 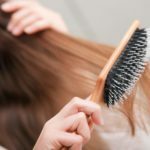 Chelsea Pang, a contributor to Marie Claire, writes that there are quite a few hairstyles that are both aesthetically pleasing as well as able to hide a part of your face that you’d rather not show off. 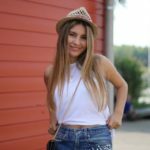 Some of these options include a dutch braid across your forehead, creating faux bangs, swooping a larger portion of your bangs to one side, or parting your hair very far to one side. 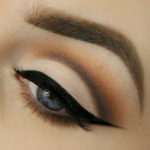 If you have stubborn skin problems that you need to hide for a few hours, use the fashion tricks mentioned above to help you forget about these particular woes.